Internet and digital marketing is an essential component for any business who wants to increase their online visibility. Every business can benefit from internet marketing whether large or small, well established or a startup, product or service oriented. There are multiple facets to internet marketing including pay per click advertising, social media integration, email marketing, organic (SEO) search engine optimization, blogs, copywriting, local online marketing, and online marketplaces. Connect with your customers and strategically build your brand for the future. At IPSSolutions.com we can develop a plan that aligns your business with the present and plans for the future focusing on the components that align with your company's brand and goals. Take a hands on approach with some guidance and consultation or simply let us take the reins with a full service option. In 2014 IPSSolutions.com acquired the full service marketing agency Boettcher Communications which is located in Door County, Wisconsin. The new division will add a retinue of available services to all current IPSSolutions.com clients while maintaining the same quality customer service and individualized attention. Please visit DoorCounty.Marketing for more information or contact us today to discuss your needs 920.265.8860 or info@doorcounty.marketing. Pay per click advertising is as simple as it sounds. Ads will be displayed based on certain criteria and if the user clicks on the ad and gets delivered to your website then you will get charged for that click. Email marketing is the online version of a direct mail marketing, whether sending a promotional brochure, event flyer, or newsletter. It is cost effective and easily managed. Search engine optimization is the method of improving a website's organic (unpaid) ranking for general and specific keywords. Social media are websites such as Facebook, Twitter, and Instagram where people can connect and communicate. Businesses use social media to build brand awareness, promote, and improve search engine rankings. Unique and high quality content is the cornerstone of SEO (search engine optimization) and can be instrumental to improving rankings and outpacing the competition. A blog is another way to keep in touch, educate, and engage consumers. 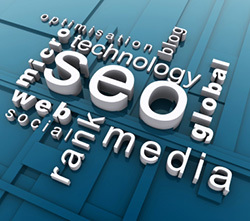 The unique and long form content in a blog can also improve SEO (search engine optimization) rankings for general and niche keywords. Blogs can also work hand in hand with other social media platforms to popularize blog posts.